Christmas is coming ever nearer and whilst none of us (including me) want to be reminded of it, it is unavoidable. 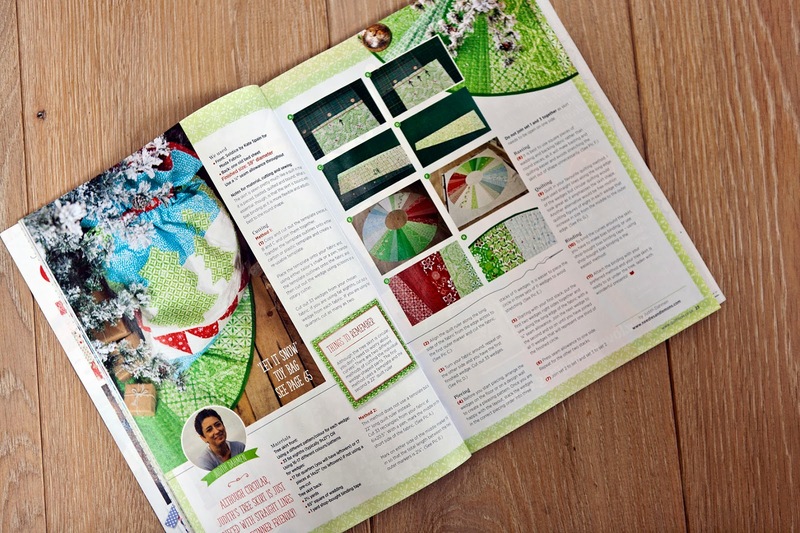 In this month Quilt Now magazine I have another Christmas project for you to try out and that is a Christmas tree skirt. I really loved making this tree skirt because although it looks complicated it is actually quite easy. 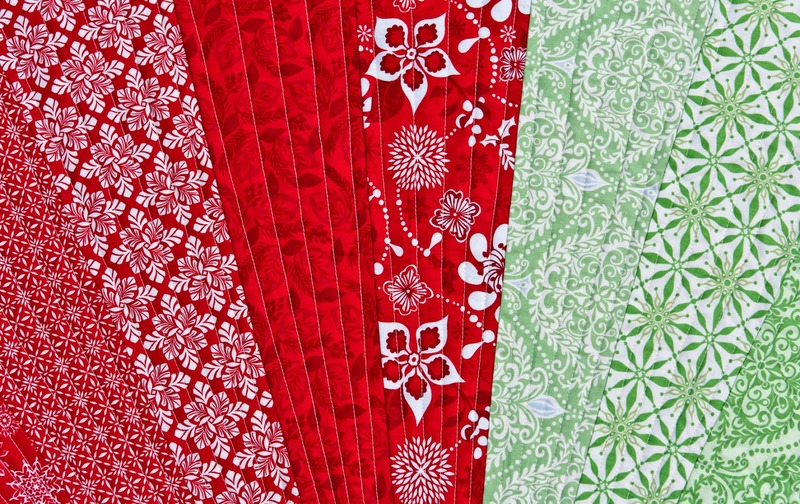 I used a fat eights bundle from Kate Spatin's new Christmas collection 'Solstice' which was perfect for the job. Christmassy, yet bright and light. I quilted in dense lines along the shape of the wedges and added bias binding in a rich green to give the skirt the right frame. 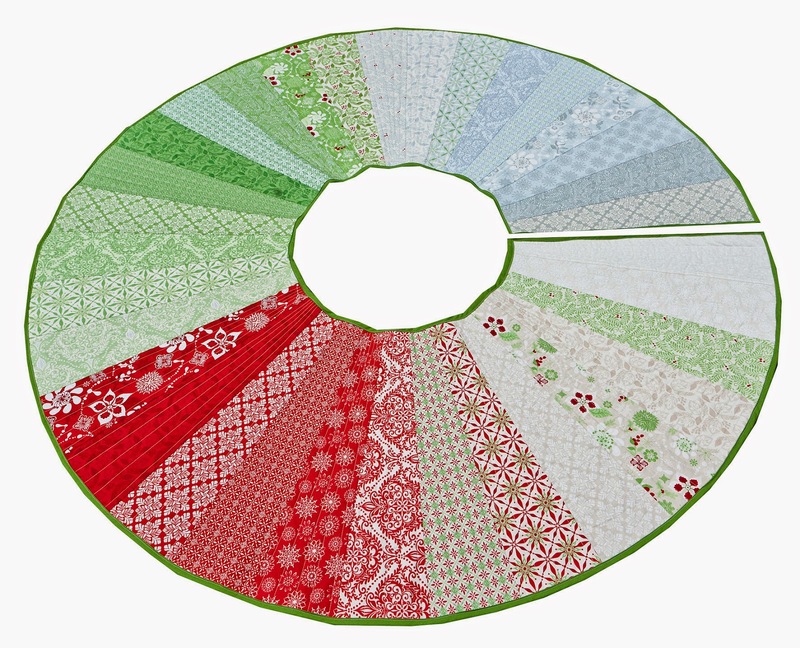 I am also teaching this tree skirt at the Village Haberdashery in November ! So check it out if you want to learn how to make it.